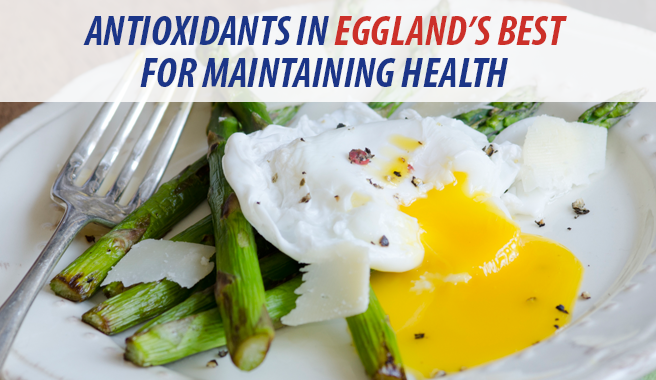 Eggland’s Best eggs are a great way to source wholesome nutrients that are important for improving overall health and wellness. Studies have shown that maintaining a healthy lifestyle may help reduce the risk of diseases such as cancer, cardiovascular disease and diabetes. Eggland’s Best wholesome, farm fresh eggs come from hens that are fed an all-vegetarian diet. This means each EB egg is more nutritious and tastes delicious! Compared to ordinary eggs, each EB egg is higher in Vitamins D and B12, and provide a significant source of certain antioxidants including Vitamin A, Vitamin E, and lutein. Studies suggest that antioxidants may prevent the free radical damage to our body cells that is sometimes associated with the development of cancer. For more information on how EB eggs can be an important part of a healthy lifestyle, click here.